An eighth person has been arrested in connection with the murder of a businessman at his farm in Sussex. Sussex Police arrested a man in Ashford, Kent, on Friday. He was being questioned at Eastbourne custody suite, officers said. 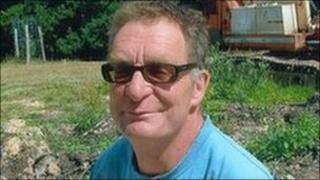 The body of Julian Gardner was found at Bush Barn Farm, off the A21 north of Robertsbridge, on 11 October. The 53-year-old died from multiple injuries after apparently disturbing thieves in outbuildings. Mr Gardner's body was found by his business partner. He had suffered several fractures and compression injuries. One theory is that he was crushed between two vehicles. Two burnt-out vehicles were found abandoned a few miles away. Police have already arrested and bailed six men, five from Kent and one from north Wales, and a woman from Kent.